Contest ends at noon on April 16th, 2019. 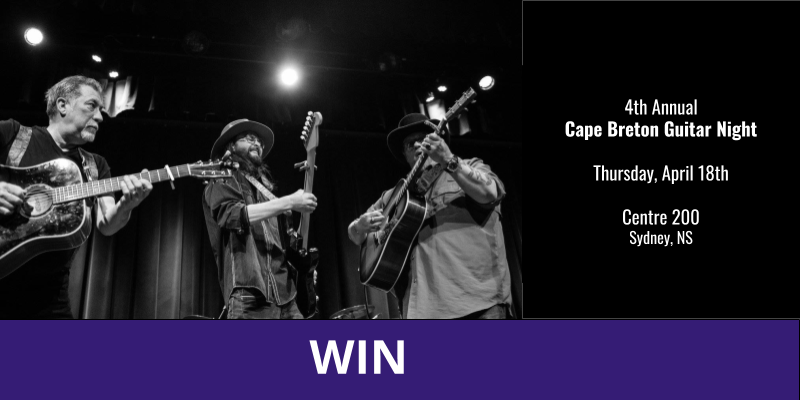 The draw will take place shortly after, and one winner will be chosen to receive 2 tickets to the 4th Annual Cape Breton Guitar Night on Thursday, April 18, 2019 at Centre 200 in Sydney, NS. The winner has 24 hours to accept their prize, after which the win will be voided and another name may be drawn. Congratulations, Helen King. Please contact us by private Facebook message or send an email to team@lokol.me to claim your prize.